Section 1. 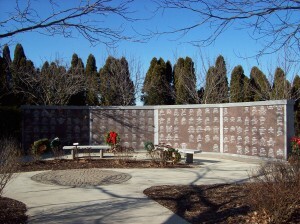 The Municipality owned columbarium located within Marysville Riverlawn Cemetery shall be known as Marysville Riverlawn Columbarium. Niches available in our new octagonal columbarium. See the Riverlawn Cemetery page for information. Section 2. All persons are welcome to visit the columbarium during daylight hours. Visitors are expected to be orderly at all times. Section 3. Visitors may receive information and assistance from the Department of Public Services, or by calling the City Clerk’s office in the City Hall (810) 364-6613, ext. 1318, during regular office hours. Section 4. There shall be no planting of any flowers, shrubs, vines or trees in the columbarium except by the City. Section 5. There shall be no attachments to the front, top, or sides of any columbarium, nor are vases, flowers, markers, and wreaths allowed except in the designated area provided by the City for that purpose. Section 6. 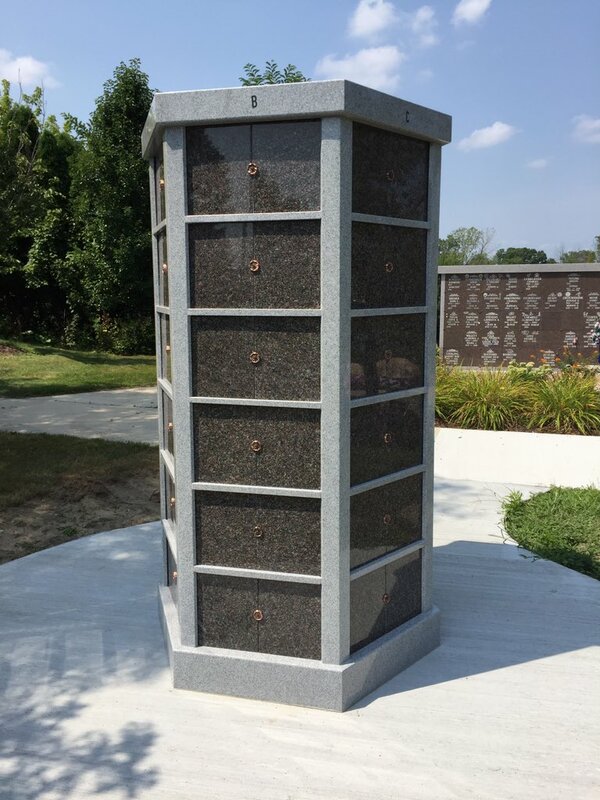 Engraving and maintenance of any columbarium niche by other than City employees, or its designees, under the direction of the Department of Public Services may not be done. All engraving shall be according to a standardized format determined by the City. Section 7. Not more than two cremains shall be interred in one niche. Section 8. No niche shall be opened except under the direction of the Department of Public Services Director or his designated employees. Section 9. No interment of cremains of other than the immediate family of the owner of a grave shall be permitted. Immediate family shall consist of: wife, husband, child, parent, mother-in-law, father-in-law, sisters, brothers or other relative living in the same household may be considered immediate family. Section 10. All applications for interment shall be made to the Department of Public Services in time to allow at least four (4) working hours to prepare the niche. Section 11. Request for interment on weekends or any holiday must be made forty-eight (48) hours in advance. Section 12. All niches shall be sold on a perpetual care basis. Price of columbarium niches, opening and closing costs, engraving costs and transfer costs shall be adopted by the City Council and changed as deemed necessary. For purchase of niches please contact the Department of Public Services or the City Clerk’s office, during regular working hours or visit the Riverlawn Cemetery page on this website. Section 13. There shall be no deferred payment plan. In the event of a niche being sold back to the City of Marysville, only the original purchase price shall be returned. Section 14. A designated area will be provided for flowers and wreaths, which will be allowed at the time of interment and for a period of five days thereafter, provided, no unsightly condition results. Flowers and wreaths may also be placed in the designated area ten (10) days prior and ten (10) days following Memorial day. A chapel is available at Riverlawn Cemetery. For anyone desiring to use this facility please contact the Department of Public Service.